Businesses that require 10, 20, maybe even 100 TEU of freight annually often balk at the complicated processes and confusing jargon in moving freight. It would of course be even more daunting without the help of freight forwarders. But you are a small customer to them, and this practically limits their involvement. Likewise, as a smaller shipper, your freight requirements are probably only a small part of your business. And this limits your time, and inclination, to get too involved. Then, maybe these six secret tips for simpler freight will help fill the gap. Maybe a reference chart format works best for you. [Caution: “Domestic” on this infographic is referring to the UK]. This YouTube clip is clear and concise (only five minutes). If these don’t work for you, a quick internet search should get you to your own “aha” incoterms moment. 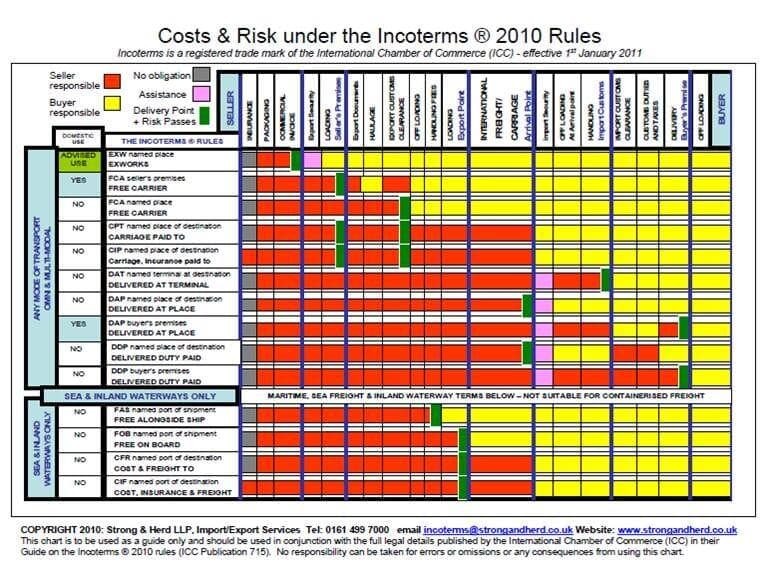 Not as daunting as incoterms, these codes are required for the Shipper’s Letter of Instruction. These days they are also required when completing online freight quote requests. There are many HS code lookup tools online. Are you using a good one? Unfortunately, many of them are unnecessarily technical or clunky to use, giving a chance for errors to slip in. Better HS code lookup tools are not only easy to use, they also flag if a US customs levy may be due. And some, like the Freightos HS Code tool, go one step further – providing a customs levy estimator. Does emailing at work sometimes seem like an endless war of trying to get your message across? Then roll out the big cannons. Really Good Emails has the cream of 100s of great business email templates created and used by business professionals from many industries. Or try Contactually, which is a great email wizard. And to boot, both work well in non-work situations as well. And one email battle that you can simply step out of, is requesting a freight quote, by using Freightos’ online freight marketplace. There is a surprising number of freight surcharges from carriers, port authorities, customs, and forwarders that can creep onto your forwarder invoices. And there isn’t much in the way of standardization. Also, sometimes fees appear that may not be absolutely critical for your shipment. If you are unsure about any charges, check this list of standard freight charges, or do a broader internet search. If you can’t find that freight charge, don’t be shy to question your forwarder. Freightos provides a unique guarantee, for shippers booking a quote online with one of the many forwarders operating in the Freightos marketplace. That guarantee is that the surcharges included in the quote are capped, and no further charge can later be added to the invoice. There are two benefits to understanding this freight calculation used in air, ocean, and even truck freight. And it can be done without getting bogged down in technical details. First benefit – reassurance. The freight industry is often described as being opaque – that’s the buzzword for feeling that your forwarder is pulling a fast one. “Volumetric”, “dimensional weight”, or “Dim weight” is a classic example. Why so many names? Even that seems suspicious. Here’s the level. Standard freight pricing is usually based on measured weight. And for most loads, charging by weight to fill up the storage space works out with a small profit. But not for very light freight. It takes up much more vessel storage space than its share of weight load, and is therefore unprofitable for carriers. The standard freight pricing breaks down. To overcome this, a theoretical weight based on dimensions, is used instead. The shipment now becomes profitable to the carrier, and you get your shipment on board. That’s probably all you need to know, because it starts getting complicated after this – like parcel pricing structures and “cubing”. Don’t over-package lightweight freight: extending your dimensions increases your freight charges. Want more tips? Cerasis lists eight great tips for reducing the cost effect of dim pricing. Even smaller shippers often work with two or more forwarders. Maybe they have different strengths, say in particular trade lanes. Maybe it changes each shipment, one forwarder can more consolidate in a container that is leaving port sooner. Or maybe it takes a while before one or both get back to you, if at all. If having respected forwarders instantly competing for your business, sounds like simpler freight for you, then it’s definitely time to check out Freightos’ international freight rate marketplace. What is a Fumigation Certificate?